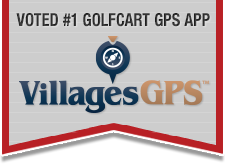 Talk of The Villages Florida / The Villages ADVERTISER Directory / GOLF CART DIRECTORY / Batteries / Battery Exploded - now what? Battery Exploded - now what? After charging our Club car over night we drove about 1 mile and heard the sound of an explosion. A puff of smoke came from under the seat. Opening it showed 1 battery with it's top blown off. Can we now safely replace the single 2 year old Trojan battery? Yep. I did it last month. Everything is fine since. Call Battery Boys and they will fix you up. Is this a common problem with electric carts ? It happened last month to a friends Par Car. Talk about your hot seat! This is not a common problem, if you maintain your batteries you will never have a problem like this. Sounds like the batteries were under watered or over watered.Maintaining you batteries is like putting gas you your cart, has to be done on a regular basis.